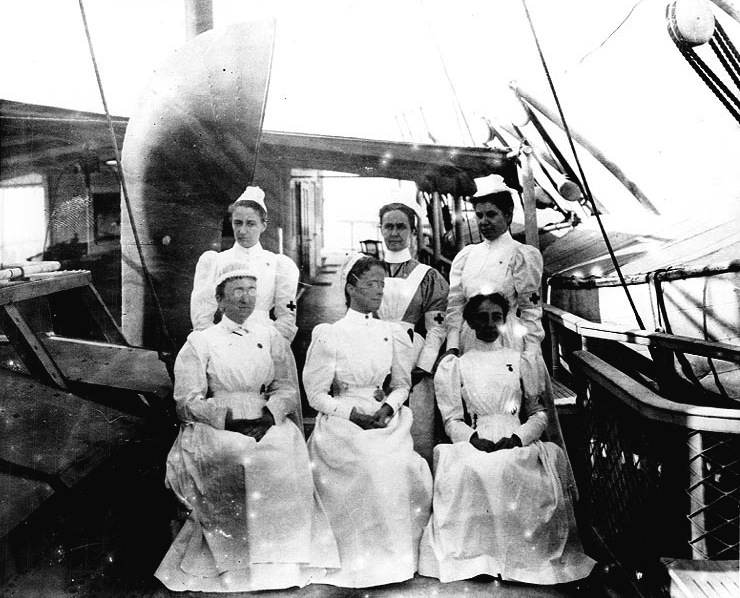 The Spanish American War would mark the first time non-religious female contract nurses would be hired by the Navy to serve ashore.The Army, meanwhile, hired women nurses to serve aboard ship on the Relief. The use of women as nurses during wartime, both the Civil War and Spanish-America War, would lead to the establishment of nursing as a real profession requiring formal training — a profession both open to and dominated by women. It would also lead to the establishment of a formal female nursing corps within the military. This image is of contract nurses serving in Cuban waters aboard the Army ship Relief. It comes from the collection of the Naval History and Heritage Command.